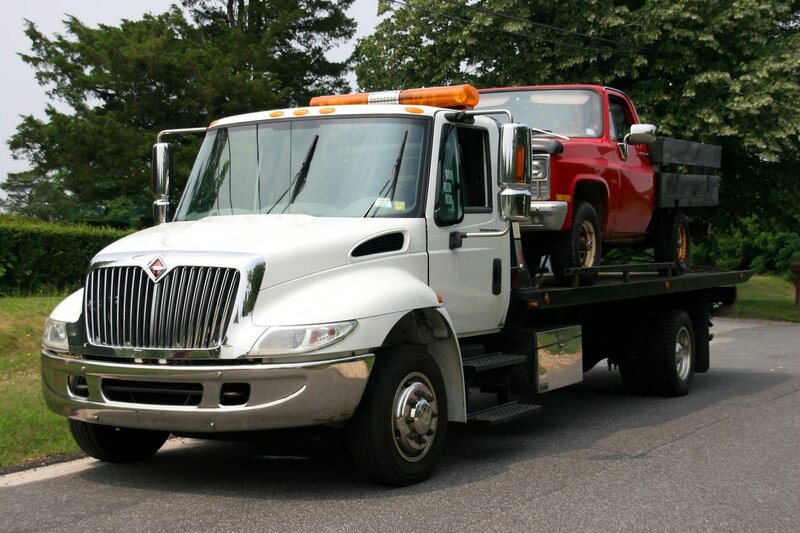 Whether you're stranded and need our help, have heavy equipment to move or need vehicle removal from private property, our diverse line of tow trucks and experienced technicians makes us the most equipped tow truck service provider in Macon, GA.
24 Hour Roadside Assistance when you need it. Our expert team is here for battery jumpstarts, car unlocks, flat tire changes, fuel delivery and even minor maintenance. Call today for fast, affordable service. Have you locked your keys in your car? We know how frustrating it is to be stranded and need a locksmith, so Macon Towing Company offers 24 hour car unlock services. Our team is fast and efficient at pop a lock and locksmith services for your car, truck or SUV. Macon Towing Company is locally owned and operated, serving Georgia’s low country with high-quality, fast and affordable towing service. This neighborhood wrecker service prides itself with quality that shows. We are here to support our Macon, GA neighbors with a line of towing services and roadside assistance that can’t be matched. If you’re stranded or had an accident or need vehicle removal, we want to help get you back on the road as quickly as possible. Call us today for an instant quote and friendly service. Roadside assistance rain or shine, day or night, and 7 days a week. Our trustworthy technicians are ready to aid you and get your vehicle back on the road. Macon Towing Company can transport your car, van, truck, heavy duty equipment, or motorcycle. Our wreckers are ready to tackle big challenges, including semi trucks, concrete mixers, RV's and tour busses. Want to learn a bit more about our reliable wreckers? Towing Service Macon's premium line of tow trucks ranges from heavy boom wreckers to flat bed tow trucks with wheel lift capability. Equipped with state of the art GPS Tracking, we can accurately estimate your wait time while finding you quickly. Service anywhere, anytime. Your time is valuable to us, and your satisfactions is our priority. Not in Macon? We provide local service to Pooler, Richmond Hill, Wilmington Island and beyond. ​Our team of highly trained technicians are prepared to get you back on the road as quick as possible no matter where or when. We are happy to serve our Macon neighbors with a variety of services from car lockouts to battery jumping. We will even bring you gas in a bind -- no judgment we’ve been there to. Please check below for a full list of our services. If you need help with something you don’t see listed below, most likely our technicians can help you. If not, we will help you find someone can. Macon Towing Company provides heavy duty wrecker service. Whether it’s heavy farm equipment that needs to be towed, your big rig needs to be moved, or a long boat hall to the coast, we can move your oversized items safely. Call us today for a quote on heavy duty holding services. ​We know how frustrating it is to be locked out of your car. If you need an Auto Locksmith to pop a lock, our team of technicians can assist you quickly and efficiently. Available for roadside assistance Macon GA benefits from 24/7, Macon Towing Company is here to help you day or night, rain or shine. We know life is busy, so we unlock your car, retrieve your keys and get you back on the road as fast as possible. Are you stuck with a dead battery? Whether you’re at home, work or in a parking lot anywhere in Macon or Warner Robbins, our team of roadside assistance technicians are here to help. We have portable battery jumpstart devices that allow us to quickly get your car charged and running. We will take a look at your battery and let you know if it needs to be changed. If you’re certain the battery is no longer good, we offer car battery delivery services. We get your battery installed and get you back on the road. ​Our Roadside Assistance services also include tire changing. If you’re stranded and in need of assistance, we’re here to help. If you don’t have a tire jack or wrench for lug nuts – no problem. Each of our team members are outfitted with tire changing equipment at all time. Whether you have a spare tire that can be attached or you need to be towed to the nearest tire shop, we will stick with you until you’re back on the road.